If you want your home to be your palace, the place where you come to at the end of a long, exhausting day to just put up your feet and feel good, then you should contact Oakland Carpet Cleaning. Why? 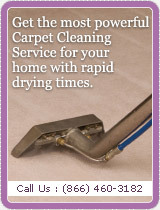 Because our expert technicians can provide you with the cleanest carpets. We use only the best equipment and materials to deal with your hard to get rid of odors and pet odors. our representative will come to your house to assess the situation to see what kind of cleaning your carpets require, so that when you come home at the end of the day, you can fully enjoy the peace, tranquility and thorough cleanliness of your home. 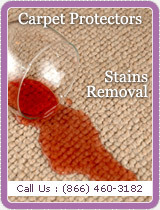 Even if it seems to you that all is lost because your carpets have not been treated for so long, fear not as Carpet Cleaning Oakland services are customized to clean any carpet no matter how dirty. When you have been in the business for as long as us, and have spent so long assessing all the different fabrics and materials around that are used in the composition of different carpets, you get a pretty accurate idea of what is needed to bring carpets back to life. If you feel that you - and your home - deserve such top quality, the only viable option is UCM Services Oakland, our services are available around the clock at 510-999-8920 so a representative will be with you almost immediately.